Peanuts cartoon courtesy of GoComics. The first title I thought of for this material came from Charles Schulz and his “Peanuts” cartoon-strip. The book was going to be called Other People’s Mail. But it turns out that many scholars before me have used this phrase. It’s also not a very engaging title — leaving you with the impression that these letters of Paul’s have nothing to do with you. 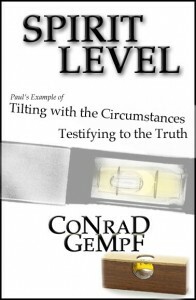 An image that came to me while teaching was the Spirit Level. Part of the difference between the way that Pharisees like Saul/Paul practiced their faith and how Paul came to learn from Jesus could be illustrated with this carpenters’ tool. This is one tool for measuring where you don’t bring the thing that needs measuring to the tool as you would to draw something straight with a t-square or measure its weight by bringing it to a scales, instead the spirit level goes to the thing to be measured. And it does its work by taking on the tilt, identifying with the crooked thing, in order to testify unerringly to what is straight. Jesus was more like that. And Paul learned it from him. 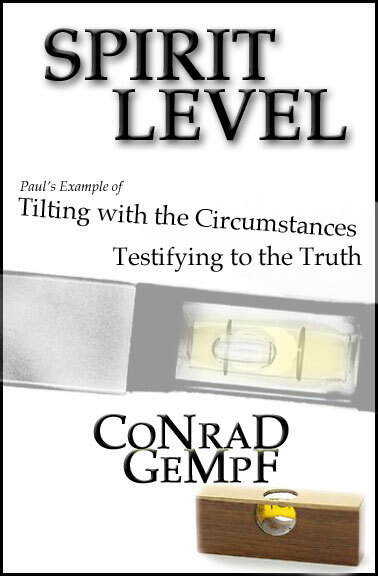 So one of the possible titles for the book was Spirit Level or Paul and the Spirit Level or, more fully, Spirit Level: Paul’s Example of Tilting with the Circumstances, Testifying to the Truth. The pun on the word spirit made me chuckle too. 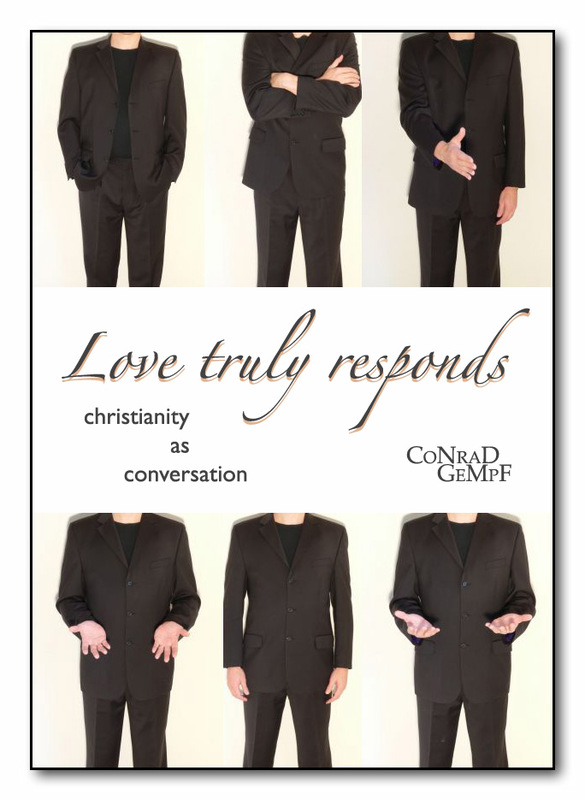 Another title I thought of at the same time seemed more engaging, because it was about love: Love Truly Responds. I loved the way that the title could be read in two different ways: Love is not just a declaration but an interaction, and thus involves a response that is genuinely interacting: love truly responds. But Love also involves truth rather than pretending; love responds with truth: love truly responds. But, you know, what reader wants to have to think that hard about a title! 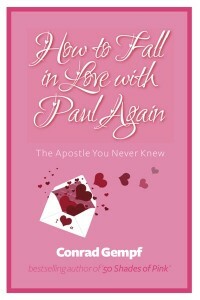 So I was pretty glad when I hit upon the title How to Like Paul. After I’d written Jesus Asked, a former student wrote to me and said “Thank you for the book. I always knew I was supposed to love Jesus; but it’s really nice to have reasons to like him, too.” And I thought, Yeah, that’s what I want to have happen with Paul as well. After a while I got the crazy idea to add the word “Again” to the end of the title. Not everyone thinks that was a good addition. But I still like it. My sister Judi has a habit of talking as if she was in the middle of a conversation rather than starting one — so she’ll walk into a room where we’ve all been sitting reading or something and she’ll initiate the conversation by saying “And the other thing I was thinking is that maybe it’s time to have coffee.” This never fails to make me smile. The title How to Like Paul Again sounds to me a little bit like that — as though we’re in the middle of a conversation about Paul together rather than starting one. The problem I acknowledge is that not everyone who dislikes Paul (and therefore might benefit from this book) ever did like him. I don’t really want those people to feel as though the book isn’t for them. But I’m thinking that in the evangelical circles most likely to hear about the book, there is a sense, as with my former student about Jesus, of knowing you’re supposed to like him even though you’ve read him and found him difficult. Oh. Here’s one other that cover designer Brett Jordan did as a joke for my editor, Amy, when we were joking about marketing the book as chick lit.